Move left thumb to aim at zombies. Press the cross-hair button to take aim. Slide Up and Down to adjust zoom while taking aim. 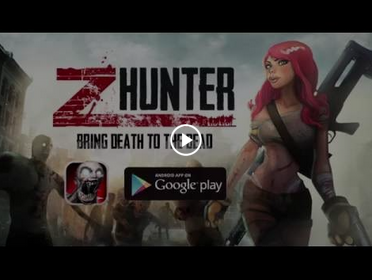 Press the shoot button to shoot zombies. Aside from Campaign, you can earn more money in Daily Weapons or Super Zombies. It is energy efficient to prioritize bigger reward missions. Sometimes the zombies are out of sight. Move to left or right arrow to find them. Hit secret boxes in-game to get helpful items or if you are unlucky you may get harmful items. Supplies: Press Spankys Energy Bar to get more time! Supplies: Press Radar Button to detect zombies and secret boxes. Power: Increase your damage output. Zoom: See better at long distances. Capacity: Cartridge with more ammunition.